Hello April! The first quarter of the year just ended. It is a pretty slow year, nothing accomplished at this moment which I think I need to hustle more. March is my favourite month, mainly because it's my birth month! I didn't try much of new things in March, but I surely have some favourites in hand to share with you guys. Bias opinion here. I have this travelogue from my shop. I use this at first because I needed to take photos of it. After that, it would be a waste if I don't use it. I begin to jot down my Europe travel experiences, mainly those personal thoughts that I won't share publicly. It was a fun trip, but partly it was an emotional one too. If you're one of those who likes to keep personal notes when traveling, you should get this travelogue. 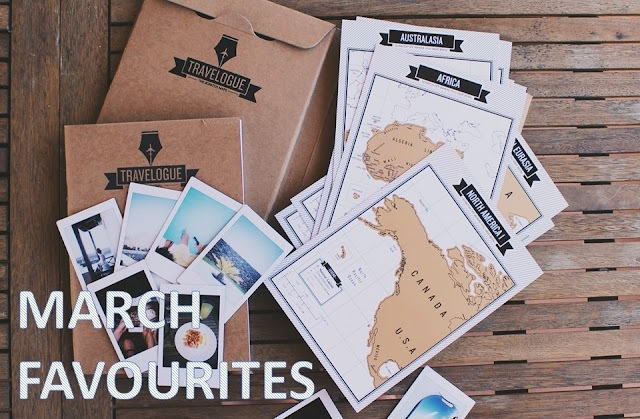 It also comes with mini scratch map to mark off the places I've been to, checklist, itineraries, etc. It is a perfect companion pre-travel and post-travel. I got a new car by surprise and I wasn't mentally (and emotionally) ready to part with my old car. Since it was a sudden change, I didn't like the new car immediately. I was still hanging on to my old car a lot. Until recently, I'm slowly accepting the new car and getting used to it. After a few months, now I finally appreciate the full potential of the new car and I think I kind of like it. The sports mode is akin to turbo mode. Have you seen a 4WD with turbo before? It's been awhile since Benefit create stunning blusher. When they released the Galifornia blush, I really can't resist it. The bright peach coral shade will suit any skintone and with the subtle gold tone, it is going to make your cheek shine. It is so beautiful on the pan and even more stunning on the face. I haven't hear anyone saying anything bad about this blush. This is going to be one of the highlight product of 2017. Try it yourself. I'm not sure if there is a word defining the joyful feeling of reading a children's book as an adult. But I'm pretty sure I'm one of those who finds the sheer pleasure in reading children's book. Technically, Roald Dahl didn't write the stories for children, it was meant to be for adult. Anyway, I am doing an intensive research about Witches and re-reading all the books related to witch. I hope that one day I can write a children's story about witches, but first, I need a lot of research. 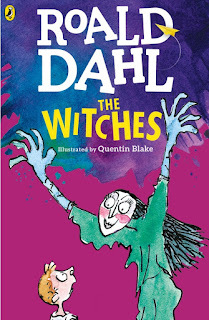 Roald Dahl's The Witches is still the best story so far. It even tops Harry Potter (in my opinion). 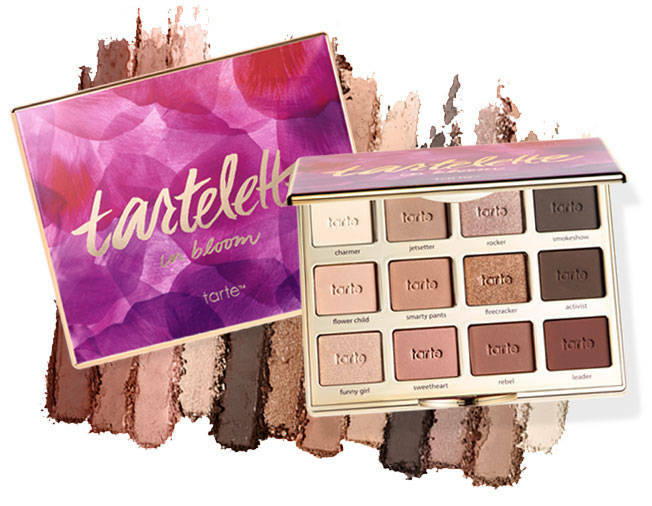 I fall head over heels with the Tarte Tartelette In Bloom eyeshadow palette. It has all the amazing colors you ever need in a natural eye palette. It has a combination of shimmer and matte eyeshadows. The color is amazing, the pigmentation is amazing, it is long lasting, it blends easily and basically, it is everything you can ask for, for an eyeshadow palette. There are 16 colors in it which can be mixed and matched into endless possibility. If you ever want to get the one and only one eyeshadow palette for your everyday look, get this. You won't regret it. I guess those are the only favourites that I can pick from the stuff I've tried. Happy April Fool Day! I hope you didn't get pranked too much. Hehe..